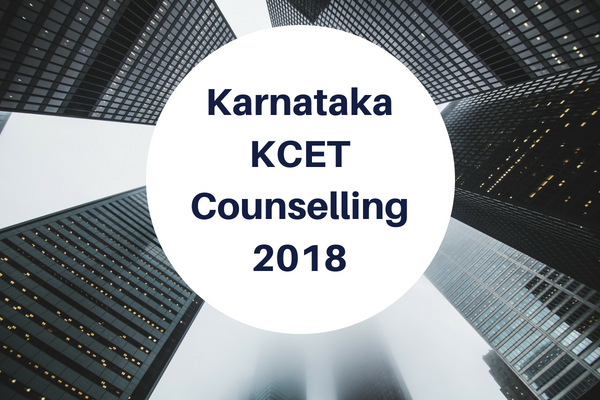 KCET 2018 Counselling Dates released by the Karnataka Education Department. Obtain Rank Wise KCET Counselling Dates. Aspirants who got Rank in the KCET Exam can check the Karnataka CET 2018 Counselling Schedule, Web Options Entry Dates, Counselling Process & Fee Details on this Page. 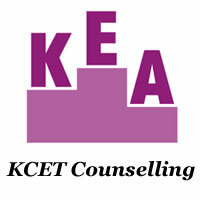 We have given all the details of KEA KCET Counselling here. Karnataka CET Counselling Schedule is Available now. The Karnataka Education Authority Department has released the KCET Results in the month of May. Now candidates who have qualified in this Entrance Exam are now waiting for the KCET Counselling Schedule 2018 & KCET Counselling Dates to Join in the Engineering Colleges. The KCET Exam conducted for the +2 completed candidates. KEA CET Counselling Process can be done in Offline & Online. KCET 2018 Web Counselling for Seat allotment is Online. Aspirants who are willing to attend the KCET 2018 Counselling can get the details like required certificates for verification, Rank Wise KCET Document Verification Dates, Web Counselling for option entry Schedule, Counselling Fee, Centers/ Venue here. Candidates who want to participate in the KCET Counselling, every candidate, should get all certificates verified. It can be done in any of the Karnataka CET Exam Counselling Help Line Centers. The Certificate Verification is compulsory otherwise they are not allowed for the Options Entry. After completion of the Document verification, they have to Submit the Options entry. After few days the officials will allocate the Seat based on the candidate’s Eligibility. Now, aspirants have to pay the Fee and also report in the assigned college. Name of Orgainization Karnataka Education Authority. Exam Name Karnataka Common Entrance Test 2018. Date of Exam 18th to 20th April 2018. CET 2018 Counselling Dates 12th to 26th June 2018. All original certificates along with Two Sets of Xerox Copies of the following Documents (Or) Certificates for KCET 2018 Counselling. Therefore, you can check the complete details of Karnataka CET Counselling Complete process, Required certificates for document verification. Also, refer Karnataka CET Web Counseling, and web options entry here. The final print out of the CET-2018 Online Application Form. CET 2018 Admission Ticket (Or) KCET Hall Ticket. SSLC / 10th Standard Marks Card. 2nd PUC / 12th Standard Marks Card. Study Certificate counter signed by the concerned BEO / DDPI. In this section, we have provided the complete Kar CET Counseling certificate verification procedure, web options entry, fee structure and admission process. So, the candidates can check the article carefully to understand the complete details of KCET Counselling Dates. Note – Reporting Time: 8:30 AM, 10:15 AM, 01:00 PM, 03:15 PM. All KCET Exam qualified candidates & who are willing to attend the Counselling should check the Rank Wise Counselling Dates clearly on the Official Site www.kea.kar.nic.in. Check Counselling Date for your Rank & also Center/ Venue. Visit the Karnataka CET Counselling Center on your Rank date. Keep the Counselling Fee Receipt safely to Perform web options. Initially, Visit the KCET official website. Search for the KCET Web Options Link. Enter the details like CET Hall Ticket Number & Captcha code in the space given there. Finally, download the seat allotment letter from your KCET Registration account. Go to the allotted college in a given time & submit it. We will give the Karnataka B.Tech Colleges Fee Structure on the official site. Check all the Fee details there and Pay at the alloted College by visiting the college/ Net Banking. Once the payment is made, download the Admission Order/ Seat Allotment order and submit it to the Allocated College. Aspirants who are going to attend the KCET 1st Counselling in the year 2018-19 can get all the details here. Candidates who are not satisfied or who have not get a seat in the 1st Counselling can go to the 2nd & 3rd KCET 2018 Counselling. We will also update all KCET Counselling Dates i.e., 1st, 2nd, 3rd on this page. Also, Visit our site www.kcetexam.in regularly for complete information. A huge number of candidates are searching for the KCET Help Line Centers list. For those students, KEA also released the CET Help Line Centers List on its official website. Therefore, the KEA Board has not yet released the Karnataka KCET 2018 Counselling Dates. When the officials release the Rank Wise KCET Counselling Dates & Web Counseling Dates on the official site, we will update here. You can also check all details regarding KCET Counselling Details here. So, Stay tuned to our Site for complete information about Karnataka CET Counselling 2018. Disclaimer : The purpose of this article is solely for the purpose of information.